Serena Williams suffered an oops moment while walking down the streets of New York on Wednesday. 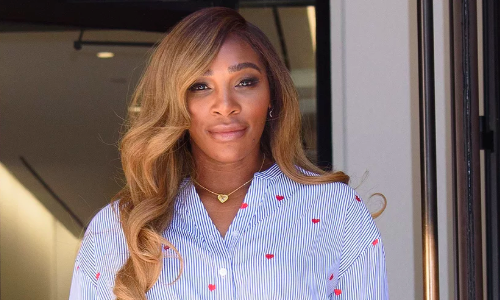 The American tennis superstar was posing for shutterbugs after getting done with a photo-shoot, when the windy weather got the better of her and her short, button-down shirtdress flashed her undies. Serena, though, handled it like a pro, as she made her way back in her car. Meanwhile, the 37-year-old has been away from court since pulling out of the Miami Open due to a left knee injury. “I have not been able to train due to my knees and am disappointed I cannot be there. I will keep moving forward and continue to be positive. I look forward to being back as soon as I can,” said Serena, who had also withdrawn from the preceding BNP Paribas Open in Indian Wells. The 23-time Grand Slam champion, who is 9-3 in 2019, is likely to return to action at WTA Premier event in Stuttgart, which gets under way come April 22.